The video has also received 68,000 reactions and more than 23,000 shares on Facebook. The world is divided into people who love makeup and think it's nothing less than an art and those who, well don't. And the next time when someone from the latter half asks you what's so good about makeup, this video is what you can show them as your answer. Shared on 9GAG only 17 hours before writing this, the video shows the power of makeup. It has since collected over 3 million views on Facebook - and still very much counting. Along with the millions of views, the video has also received 68,000 reactions and more than 23,000 shares.
" 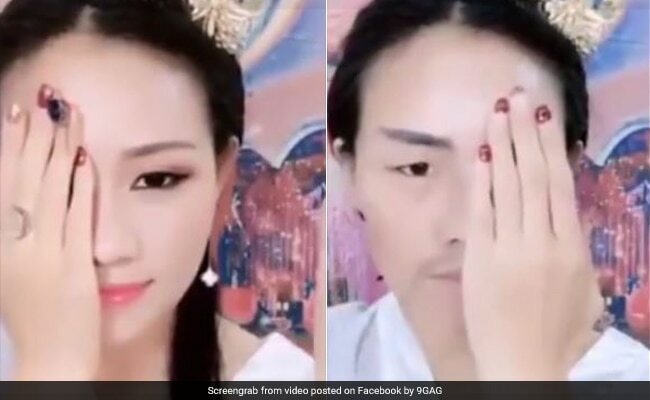 I need to learn how to do this, but then again I'd never have the time to put on this much makeup and I'd have nowhere to go wearing it," says one Facebook user on the video. "We need to up our makeup game," says another. Now who can say makeup is anything less than an art?